This comprehensive program provides you with a thorough understanding of project management by combining the Essentials of Project Management with Mastering Project Management programs together. The program also combines knowledge of project management scheduling disciplines with the use of the Microsoft Project 2010 software. In the Essentials of Project Management portion, you will gain a solid foundation of project management concepts and learn important terminology. This program is essential for anyone who is wanting a comprehensive training in project management. This program is based on Project Management Institute’s A Guide to the Project Management Body of Knowledge (PMBOK® Guide). This program presents material sequentially, as it will likely occur in actual projects. You’ll gain a thorough understanding of how to apply project management concepts, in addition to any specific variations between them. Key and critical topics are explored in-depth as they are appropriate for a more intermediate and advanced level understanding. You will learn about project selection, developing project strategies, creating a schedule model, statusing and forecasting, project recovery, and more. This program meets or exceeds the educational requirements for those interested in the Project Management Professional PMP and CAPM certifications. 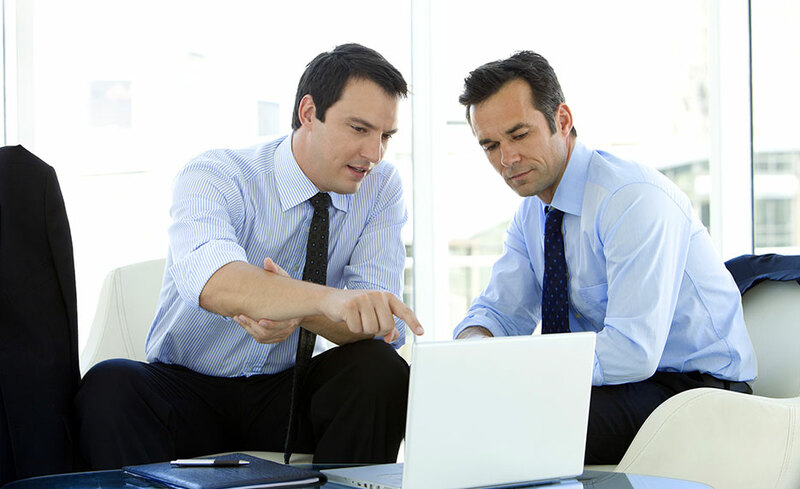 This program provides you with a thorough understanding of project management. In the Essentials of Project Management portion of the program, you’ll gain a solid foundation of project management concepts and gain familiarity of important terminology. This is essential for anyone who is new to project management. The Mastering Project Management portion of the program will help you gain a better understanding of how to apply project management concepts and make appropriate variations between them. You will learn more advanced project management tasks, such as how to select projects and develop strategies for them, how to create a complex schedule model, and how to identify and assess any risks in the project. You’ll learn about statusing and forecasting, in addition to project recovery concepts, and project termination. This program combines knowledge of project management scheduling disciplines with the use of the Microsoft Project 2010 software. You’ll advance through Microsoft Project 2010 features and functions one step at a time, learning how to plan out your work and keep projects of any level on track using this powerful software. In addition, you will gain confidence and competency through hands-on practice. The Microsoft Project training is designed for beginners through advanced users of Microsoft Project. The Project Management portion of this program is based on PMI’s A Guide to the Project Management Body of Knowledge (PMBOK® Guide), which establishes the international standard regarding the project management discipline. This program meets or exceeds the requirements for those interested in the Certified Associate in Project Management (CAPM®) and PMP certifications. Students who are interested in earning the CAPM and PMP credentials must schedule and pay for the exams on their own after program completion. This program is not Mac compatible. It can only be taken on a PC. It is compatible with the Windows XP and later operating systems and IE 7 and later browsers. There are no specific computer requirements other than an Internet connection, e-mail account, Microsoft Word (for assignment submissions), and Windows Media Player (which is available as a free download). We recommend that you use the latest version of Internet Explorer in place of other Web browsers. You either need to purchase Microsoft Project 2010 before enrolling in this program or you must already have it installed on your computer. You can’t use Microsoft Project 2007 or any previously released versions of the Microsoft Project software for this program or Microsoft Project 2013 or any future software for this program. This is a hands-on course that calls out specific keystroke commands. The ribbon menu you’ll use was introduced in 2010, which means all previous editions will not be referenced correctly with the keystrokes. Future software (2013+) includes additional functions, features and menu options. Additional compatibility challenges may exist with using the provided practice files. You can use Microsoft Project 2010 Standard for this program; however, the program will also cover some features/ functions that are only available in the Professional edition. The main difference is that you won’t be able to do the hands-on exercises associated with the more advanced functions. This program has no prerequisites other than a basic knowledge of how to use a computer and the internet. All of our programs are self-paced and open enrollment, so you can start them when you want and finish them at your own pace. When you register, you receive nine (9) months to complete this program. You should already have Microsoft Project 2010 installed on your computer before enrolling in this program. If you don’t already have Microsoft Project 2010, you will need to purchase it for the program. 12. Are there any state/national exams your students will be prepared to take once they successfully complete the program? Students may wish to sit for the CAPM® and PMP® certification exams. Students will need to arrange and pay for the tests independently from this program. 13. I’m new to project management, is this program the right fit for me? Yes. You will find that this program starts from the ground up laying a solid foundation of project management terminology and concepts. Then, after you gain a foundation, you will move on to mastering the concepts with a level of expertise that you can bring into the industry. You can even qualify to take national certifying exams. 14. I have Microsoft Project 2007 (2013, etc.). Can I use that instead of 2010? No. This is a hands-on course that calls out specific keystroke commands. The ribbon menu was introduced in 2010 which means all previous editions will not be referenced correctly with keystrokes. Future software (2013+) includes additional functions, features and menu options. Additional compatibility challenges may exist with using the provided practice files. 15. I have Microsoft Project 2010 Standard. Can I use that? 16. What if I don't have enough time to complete my program within the time frame provided?